“He was really attached to her and when it was time to go, he said, ‘No tears now.'" The kitten clung to the soldier, and the soldier clung to the kitten. Neither of them wanted to let go of each other. 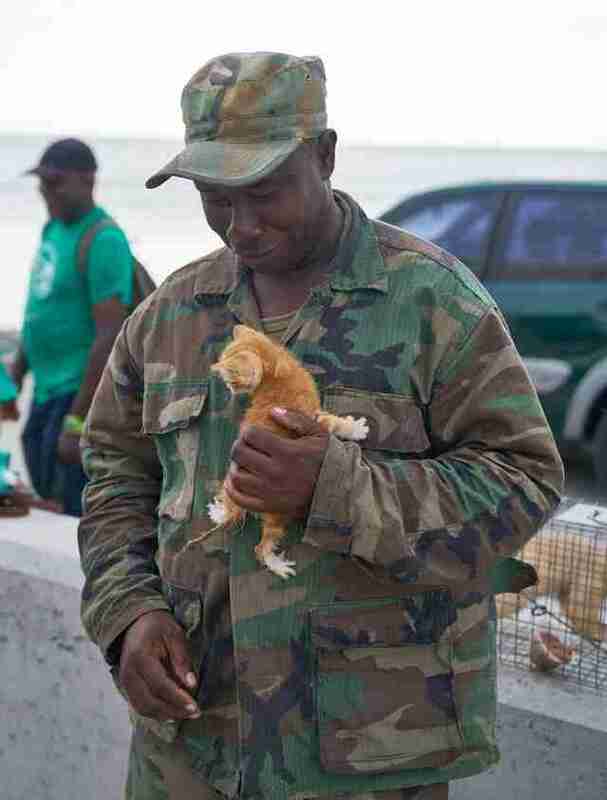 Corporal Orville Williams had found the tiny orange kitten while on duty with the Antigua military on the small Caribbean island of Barbuda after Hurricane Irma hit a couple of weeks ago. The hurricane had devastated Barbuda, flattening houses and forcing its residents to evacuate to the neighboring island of Antigua. 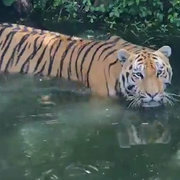 Unfortunately, many animals got left behind. 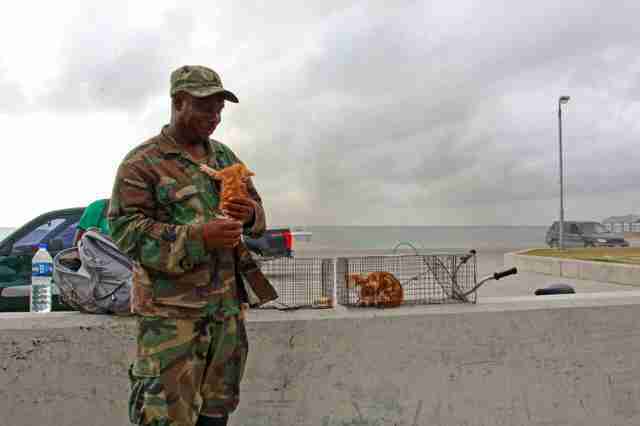 While driving through the island surveying for damage, Williams and a couple fellow soldiers heard a tiny, weak meow. 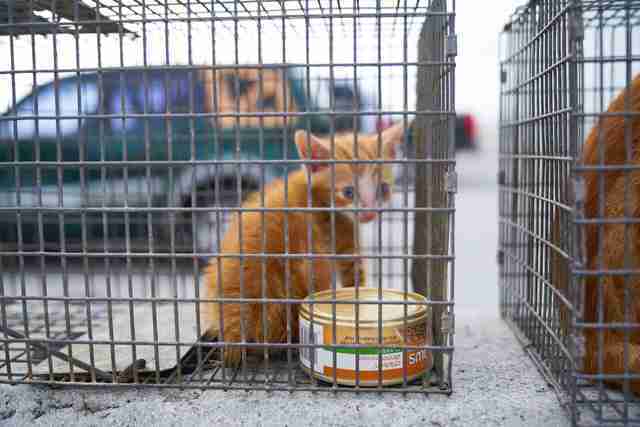 When Williams got out of his truck and had a look around, he found the kitten. Williams and the other soldiers named the kitten Irma, and they did the best they could to care for her, despite having limited means to do so. 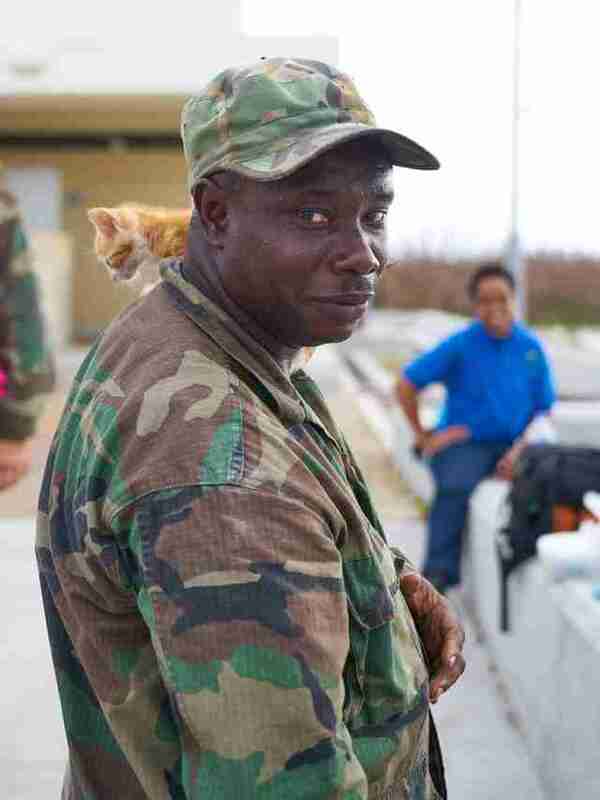 But when a rescue team from WAP arrived on Barbuda to look for stranded animals, Williams knew what he had to do. “The soldier said to us, ‘Hey, since you’re bringing back animals, we have this little kitten and she’s probably better off with you guys. So if you can fit her, it would be great if you could take her back to Antigua,’” Cantin said. Cantin agreed to take Irma with them. But when it was time to go, Irma held onto the soldier who saved her. “She was really shy and clinging to Corporal Williams,” Cantin said. It was equally hard for Williams to say goodbye to Irma. “He was really attached to her and when it was time to go, he said, ‘No tears now. Irma’s going to a better home,’” Cantin said. Irma is now safe and sound at the Antigua and Barbuda Humane Society, which is located on the same site as Antigua’s Donkey Sanctuary. “Two days later, I went to visit her at the humane society, and she was rolling and exploring and scratching at the wood and she’s a really cute girl and really curious and playful,” Cantin said. “One of the most satisfying parts about working in this kind of field is the happy endings, because there are so few and so far between that when they happen, you really have to cherish them,” Cantin added. 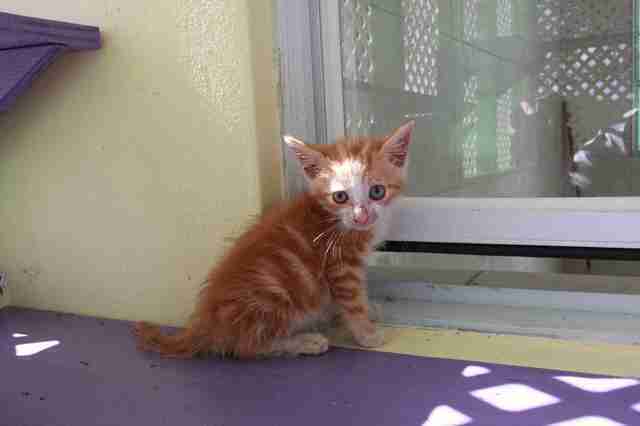 To help WAP rescue more animals like Irma the kitten, you can make a donation. And to keep your own furry family members safe during a natural disaster, make sure you have an evacuation plan in place — even if you think your home would never be affected by a disaster.